Our Classica series includes European style push-out casement windows which are available in either single or double casement configurations. 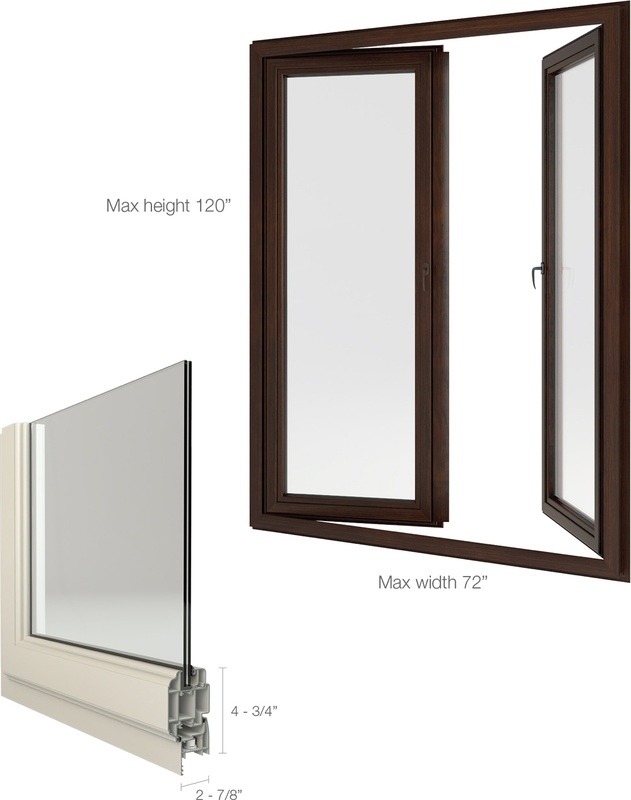 The double casement has a built-in astragal that moves with the inactive sash to give an unobstructed view when open. • Up to 10 ft tall – also available in full arch or eyebrow configutations. Also available in “Sharp” profile version and Luxury. Clear, Turtle Code Grey, Bronze. Other colors available on request. All glass are available with the most advanced Low-E coatings to meet current Energy Code regulations.